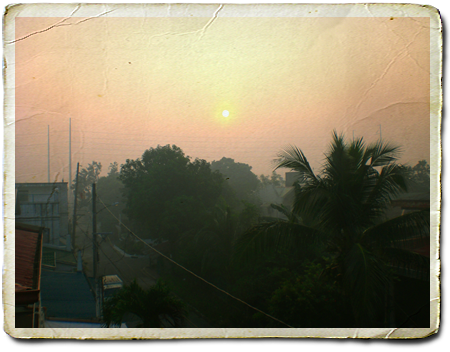 The first sunrise of the year, taken sometime between 7:00 and 7:20 AM from the rooftop of our house in Alabang, City of Muntinlupa. It's a diffused sunrise due to either the clouds or the smog. I do this every first morning of the year (since 2007), I watch the sunrise and feel it's warmth on my skin. Somehow I have this belief that the light coming from the first sunrise of the year is packed with blessings.